Size: 12 oz., 14 oz., 16 oz. 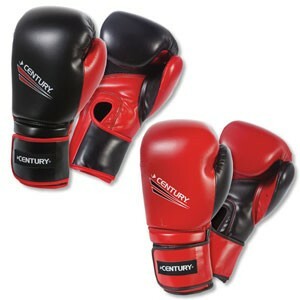 These boxing gloves are excellent for sparring, training or bag work. The polyurethane construction along with the injected molded foam promotes durability while the mesh palm and hook and loop strap gives it a comfortable yet secure fit. Features an attached thumb to ensure proper thumb placement.